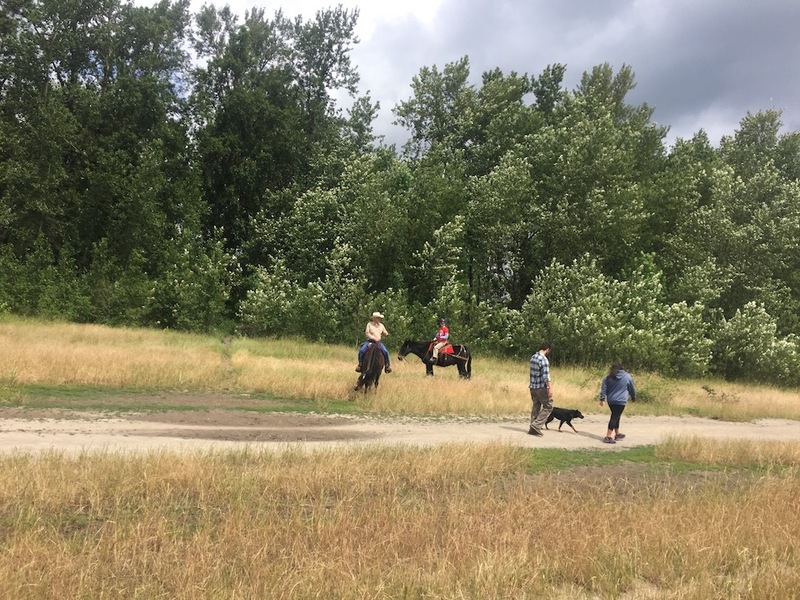 Friends of the Sandy River Delta » Saturday June 16th – Puppies and Ponies 10 a.m – 2 p.m. Dogs and Horses, Oh My! It’s time again for the annual “Puppies and Ponies” event. 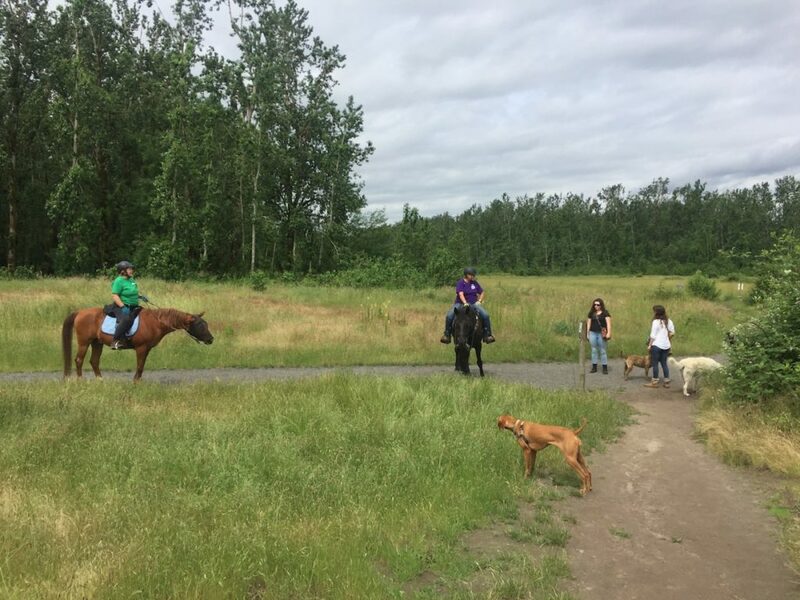 Our Equestrian FSRD members will be at the Delta with their “pets” to help both our Dog and Horse friends get acquainted with each other, learn the best ways to share the trails, and to have some fun. There will be Mini-Horses in the Parking Lot – always a thrill for children. 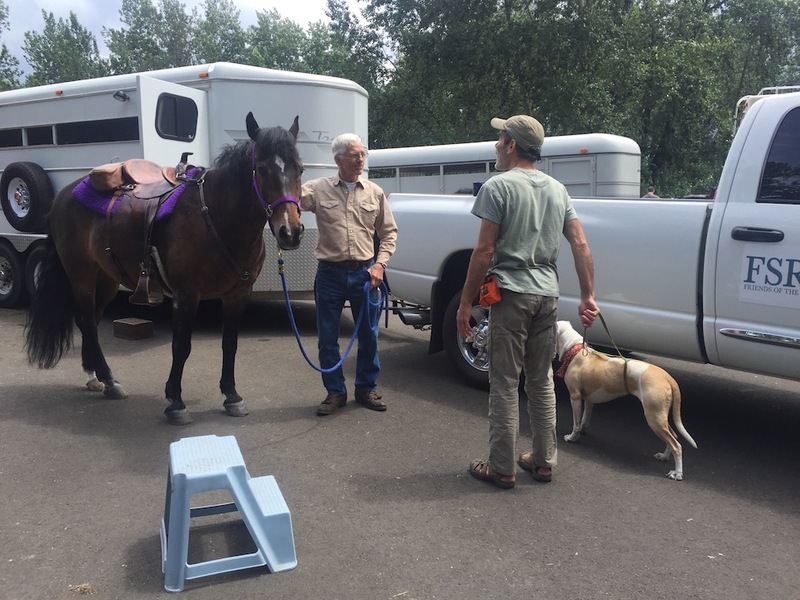 Riders will be on the trails along with us dog-accompanied FSRD types. The event will go from 10 am to around 2 pm. Come meet some of your FSRD volunteers, and some of our Equestrian members (who are crucial to the work FSRD does at the Delta). Jeff is the chair of the Friends of the Sandy Rive Delta, and has been working with a group of dedicated volunteers and the Forest Service since 2005 to help keep the Sandy River Delta accessible to the many users who have discovered the area as a great place to recreate.